Do you have a baby shower coming up? Maybe you know someone who is expecting? Perhaps you are the expecting mom, and want to know the best baby stores to shop at. 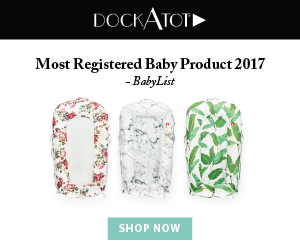 Well, there are many baby stores out there, but these are the stores that you can find the most adorable gifts for your baby! In an effort to fully disclose, this article contains affiliate links which mean if you purchase something after cilcking on my link, I would receive a commission. It doesn’t change the price whatsoever! For more information see my Disclosure/Advertising page. What’s the Best Baby Stores for Nursery Decor? What’s nice about their wall decals is that they are completely removable! Not only that, if you are worried about whether or not they will go with your decor that you have picked out, you can purchase a small sample for just $6.00 and see. Project Nursery also has some really fun blankets that come with milestone cards so you can take some wonderful pictures as your little one grows! What’s also cool is that you can create a baby registry with them, so that way your friends and family will know what you want. Now that I got you hooked on Project Nursery and all their fun nursery decor, I also wanted to share with you that if you sign up here, you can enter to win a $250 gift card to Project Nursery. What’s the Best Baby Stores for Clothes? There are actually quite a few baby stores to find adorable clothes. Some are more well-known than others. Whether you are expecting a boy(s) or girl(s), there are so many fun places to shop! Carters has some of the CUTEST clothes for babies as well as toddlers. I LOVE shopping there so much I even wrote an article about how to save money when shopping at Carters. Another one of the best baby stores for baby clothes is Target’s baby department. They have lots of great baby clothes, and every once in awhile you can stock up on a promotion that have where if you spend X number of dollars on baby gear and clothes, then they will give you a gift card. I love taking advantage of these sales that Target has because a lot of times you are already going to be buying it so why not stock up now and save extra! Wal-Mart is another good place to shop for baby clothes! Now, I will make one note that if you browse their website, they offer a lot more items than they do in store. Also, they tend to have a lot of great clearance items for off-season clothing. What’s the Best Baby Stores to Create a Baby Registry? Baby registry are such an amazing thing! It helps people know what to buy for you and they can pick something out that still fits in their budget. 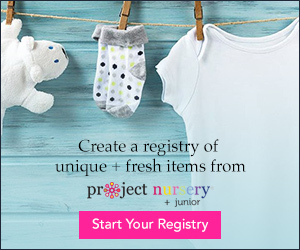 Now when it comes to baby registries, you are going to want to register in places that are local or have online stores. This just makes things helpful for those who are buying off of your list. I would strongly recommend you creating a registry in a couple of different places just because some people prefer to shop in a specific store, but it really is up to you! When you sign up with Target Baby Registry, they give you a complimentary welcome kit with $100 worth of coupons. YAY! Amazon also offers a few perks for creating a baby registry, including a welcome box with baby samples. Buy Buy Baby also offers a complimentary bag of goodies for creating a baby registry and they include some baby samples and coupons. Also, sign-up for their email list because they send you 20% off coupons in the mail and via email all the time! Fun fact: if you don’t already know, they are actually the sister store to Bed Bath and Beyond.